While note taking, viewing and annotating PDFs and managing our calendars are all ‘important’ work tasks we can do with our iPads, there is a level above this that is more around serious work. Most of the Microsoft Project apps we have tested allow editing but do not allow us to sync our changes back to the master. We are enjoying the view only options provided by Projects ad lib. 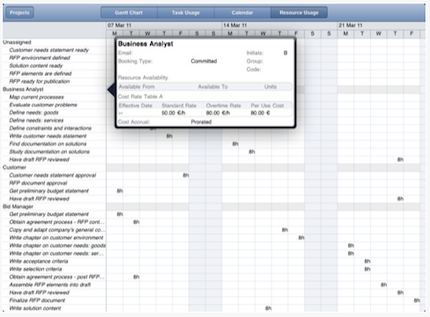 Importing your Project Plans is supported via email attachment, free cloud service DropBox and through iTunes. 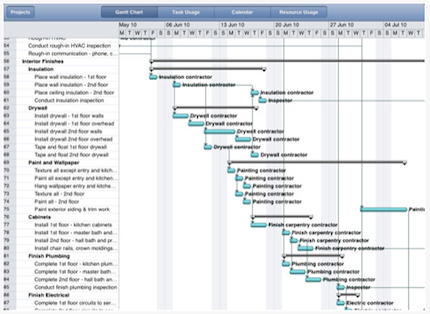 Viewing options for Projects ad lib include: Calendar (show key tasks on a monthly calendar layout), Gantt chart (classic Project view), Resource usage (shows stats for resources in the project) and Task Usage (shows the time spent per task). 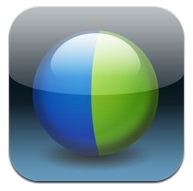 The second ‘Business’ app being used every day is the WebEx for iPad solution. When the app was first introduced, we would have it logged into our presentation so we could see what others where seeing. This proved valuable in tuning our presentations from time to the next. 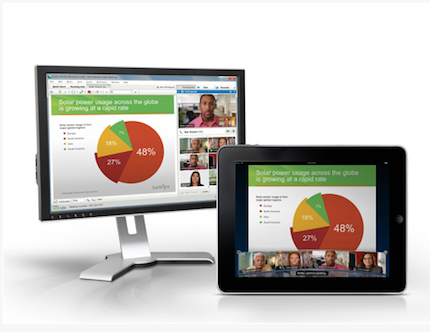 WebEx has been updating the app so now we are also able to use the app to do two way full screen video conferencing (iPad 2 required… otherwise they can’t see us) and WebEx for iPad lets us do the actual presentation from the iPad too.